Cortney is just passion! This guy constantly is promoting his company but most of all he is promoting the sport of Fly Fishing and how amazing it can be for everyone. Whether it’s your first or 1000th time on the water its all grins with this Instagram handle. 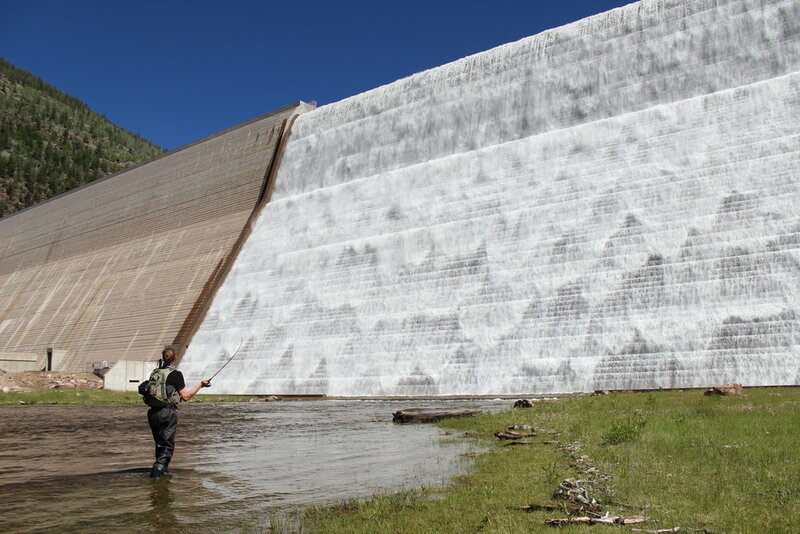 It does not hurt that his feed is full of some of the best trout and scenery you can see while fishing. To top it off his fishing crew just won the 2016 If4 Fly Fishing Film Festival. These northern Utah based twins in their teens have spent more time on water than 3 of your friends put together. They are also advocates for getting kids outside and teaching them about the outdoors. Every image that hits their feed is all good times and stoke to be fishing. They are raw enthusiasm and it shows in their pictures! With his full beard he looks like Jesus but if hell had legit trout water he would out fish you there too. In person BTJ is soft spoken but get him on the water and his fishing does all the talking. Check his feed, all you see is monster trout from around the world. Now that winter has set in between catching pigs during the limited light of day he is now tying crazy streamers at night! He is a true trout fishing Swiss army knife. Young and eager, this guide spends his summers at RL Trout Camp catching some of the biggest Northern Pike you will ever see. In the “off” season you can see images of him on the Snake River or ducking hunting in central Idaho. If you watch his feed it looks like he wakes up fishes, travels, takes photos, goes to bed and repeats the next day! Nothing but admiration from us older folk sitting in our office chairs….. If he is not winning casting competitions around the western US this computer engineer is taking amazing landscape pictures from his fish travels and yes some great art inspired fish images. Want to see some of the best countryside the earth has to offer follow this guy. Keep in mind his account is private so you will have to request to follow him. Trust me its worth it! You will not see a lot of Provo River images out of this Heber Valley based fin chaser. He spends most of his time searching for beasts in and around the Unitas, Wyoming and beyond. He is an expert at tying some of the best streamer patterns that are very effective, just look at his feed. Scroll through his images and you will see plenty of large fish, his new puppy and some of the best fish terrain in the Western US. The main reason we have this website and fishing crew. This guy is all about the outdoors and having fun! If its not endless powder images, its lunkers in some of the local rivers and beyond. Now that he is a father you will also see plenty of images of his growing family enjoying the outdoors. The Captain is always hyped to be outside and if you scroll through his images you will instantly become as excited to pick up your rod, board or stroller and get outside!